Buildings, bridges, highways — our graduates are making an impact on the world around us. 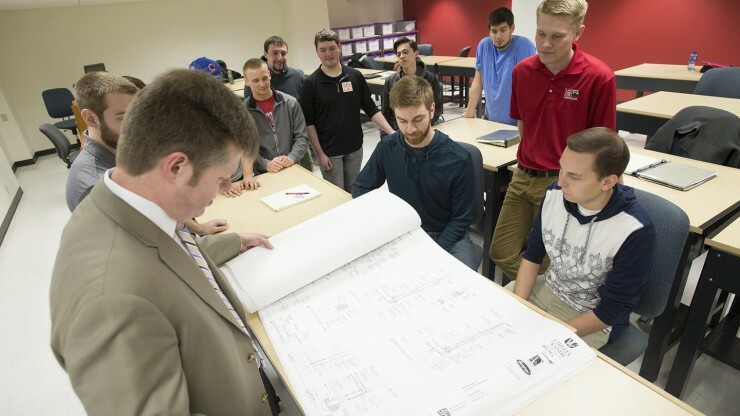 In the Civil and Architectural Engineering and Construction Management Department, you’ll benefit from experienced faculty mentors and extensive design studios and laboratory facilities, including the Construction Science and Engineering Center and Johnson Controls Environmental Systems Laboratory. The department offers a five-year double-major option, which allows you to earn bachelor’s degrees in both architectural engineering and construction management. There is also a five-year dual-degree program for both civil engineering (MSCVE) and for architectural engineering (MSAE). Our students’ stellar job placement rate (typically 100 percent) and strong record of success in regional and national competitions are evidence of our programs’ quality. The department’s offices are located in Campus Center Room 27 and may be reached at (414) 277-7301. Get to know our faculty in the Civil and Architectural Engineering and Construction Management department.